2016 was an interesting year for Malayalam Film Industry. It was a rich year, from the raw Kammattipaadam to the action block buster Puli Murugan to the return of master Priyadarshan with Oppam. From a financial standpoint, the industry remained strong and produced its most successful film of all time. There are a number of strong commercial films and not in this list such as Anandam and Kattappanayile Rithwik Roshan, and also few good attempts which was opted out like Lens and Marupadi for a variety of reasons. And unsurprisingly, seven of my ten favorite Malayalam films this year came from the new wave. Kammattipaadam directed by Rajiv Ravi, is with zero doubt and questions, the best Malayalam movie of the year. The film centers on Kammattipaadam, a slum locality in Ernakulam, Kerala. That casting, locations, art, lighting, performances, music… this is one hell of a modern classic. Kammattipaadam looks like the work of an unusually talented director. Every frame, every voice-over, every song, every character, and every situation – it all comes together at the exact right moment. A wonderful movie and a representation of everything I love about movies. The performances by Vinayakan, Manikandan, Dulquer Salmaan, and all the other actors were amazing. They will all be hopefully remembered at awards time. If there could have been nominations for every role in this movie, they were well deserved. This is a terrific movie that should be watched by every adult. Maheshinte Prathikaaram (The Revenge of Mahesh) is a comedy-drama film directed by Dileesh Pothan. 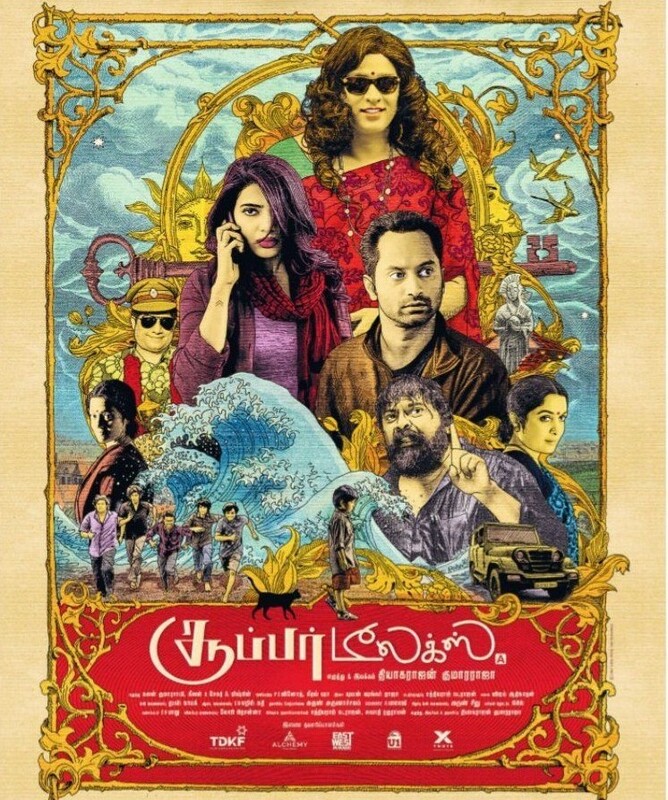 The film stars Fahadh Faasil, Aparna Balamurali, Anusree, Alencier Ley Lopez, and Soubin Shahir. A down to earth story told with lots of humour and emotion. This is among the most flawless pieces of 2016. Dileesh Pothan’s detailing is exceptional. I find each of the characters incredibly fascinating and very rich. I repeat, he is one excellent filmmaker. I saw it a second time and I really saw it for the first time. Kali (Rage) is a thriller directed by Sameer Thahir. The tension and cinematography was incredible. I was completely hooked from the beginning and was not bored for a second. For me, the movie is pretty much flawless (If there’s one gripe about the film, there’s a plot twist that doesn’t quite work). Kali is an intense highly entertaining thriller that delivers the goods despite faltering a bit in the third act. The strengths of the film really lie in the top-notch sense of suspense that director Sameer relishes in piling on scene-after-scene, like Steven Spielberg’s Duel (1971). Chemban Vinod Jose is instantly memorable and frightening. Spectacular chemistry of Dulquer Salmaan and Sai Pallavi is a treat to watch. Oppam (Together), a crime thriller scripted and directed by Priyadarshan. Mohanlal plays Jayaraman, a blind man and the prime suspect in a crime he encountered. The well-made thriller offers some edge-of-the-seat moments. The second half of the movie is the reason why it is among the top five. The film’s got smart screenplay and excellent cinematography. I could go on and on about the flawless cinematography and lighting effects and such. There is Mohanlal, who is undeniably brilliant in playing the part of Jayaraman and Samuthrakani’s screen presence is worth mentioning. Action Hero Biju is directed by Abrid Shine. 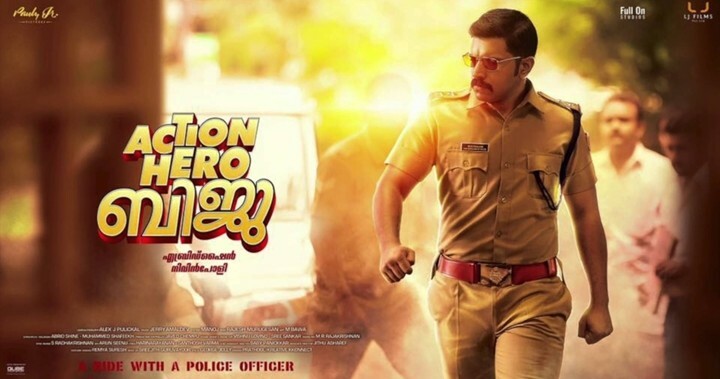 The film stars Nivin Pauly in the title role of police inspector Biju Paulose. It is a well made cinematic reconstruction of the life of a police officer. The idea and concept of Action Hero Biju is just some ordinary people on an ordinary block with ordinary lives. What is most astonishing about the film is its complete believability. The film is extremely funny, at the same time there are scenes so strong and hard hitting like Suraaj episode, and college students episode. Suraaj deserves the top most awards for that 10 minutes role. We can even say that it is that 10 minutes which took the movie above from its actual level. Anuraga Karikkin Vellam is a sweet family-drama directed by Khalid Rahman. It is with zero questions, Asif Ali’s best performance ever. He looked so natural and spontaneous. And ofcourse, there is the ever shining Biju Menon. Oh My God, this guy is class. This movie has moments with these actors which touch your heart. At one level we have a romantic story, at another level; we have the charm of family conversation. I saw a movie so filled with life that I think it spoke to me. I loved the characters in this movie. The characters are treated with delicacy as the story revolves around them. The music in this film also plays a key role in allowing for smooth transitions from scene to scene. The music, feelings, humor and drama make this an interesting film. Jacobinte Swargarajyam (Jacob’s Kingdom of Heaven) is a biographical drama written and directed by Vineeth Sreenivasan starring Nivin Pauly, Renji Panicker, Lakshmy Ramakrishnan and Sreenath Baasi. Although the movie is predictable, the beautiful moments now and then keep it alive. Characters are stereotypical, but viewers will hardly notice unless they’re ultra-critical. The entertainment value of this film is just amazing. What adds impact to the story is the fact that Jacob was a real person. Ozhivudivasathe Kali (An Off-Day Game) is directed by Sanal Kumar Sasidharan, based on the short story by Unni R. The pace is suitably slow, I love the atmosphere of the film and how the film takes its time to flesh out the characters and themes. The film follows five middle-aged men who get together for a booze party during an election holiday in Kerala. This is a strange movie that one must see with others in order to have someone to discuss with afterwards. 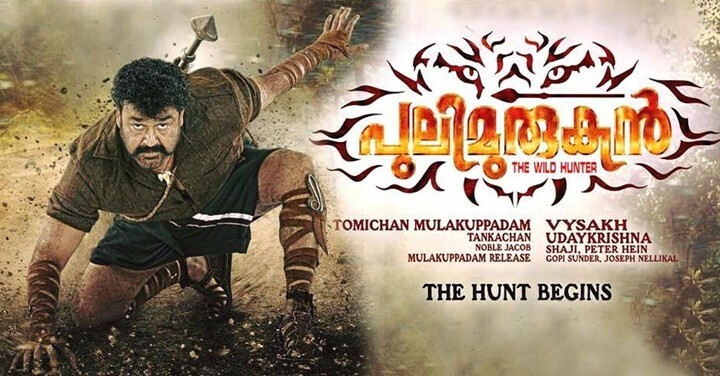 Pulimurugan is ‘the one’. The first 100 Cr Malayalam movie. Directed by Vysakh starring Mohanlal under the action direction of Peter Hein is an action extravagant. A mediocre script, terrible comedy scenes, cliche and poor character development, ie Pulimurugan. Whether the movie is as good as others in the list is secondary because there are few aspects of this movie which stands out, like action scenes, cinematography, vfx and the one and only Mohanlal. The film throws you into the action from the first moment, literally ‘the very first moment’. The action is beautifully designed, using pretty much every camera technique available; and it never feels repetitive. Has it been a great year in terms of quality?